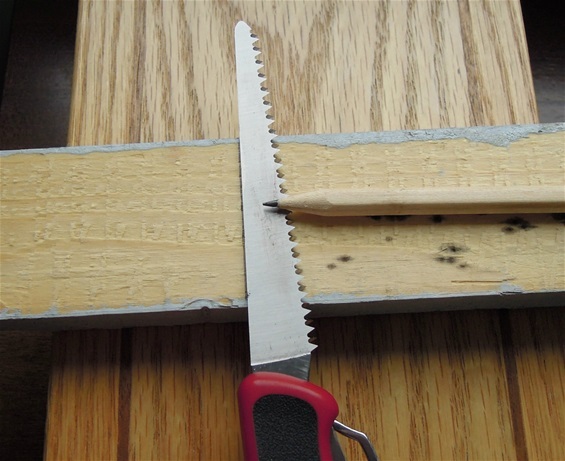 Measure the length and use the saw as a ruler. Then use the saw. 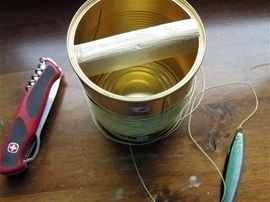 Make a throwing device with a can for food. There are many things you can use to make a throwing device with. 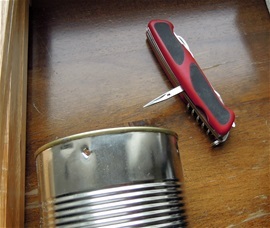 A normal can for food can be used. Many know about this already but I will show anyway. Check the outside of the can for sharp places. Make a handle to be placed inside the can. I use tree fingers inside when I throw (with the thumb and little finger outside). It is important when you swirls the line on that it can release freely. It is not needed with a handle but it makes for a longer throw. Just swing the lure vertically and let go. Point the can out and see how far it gets. 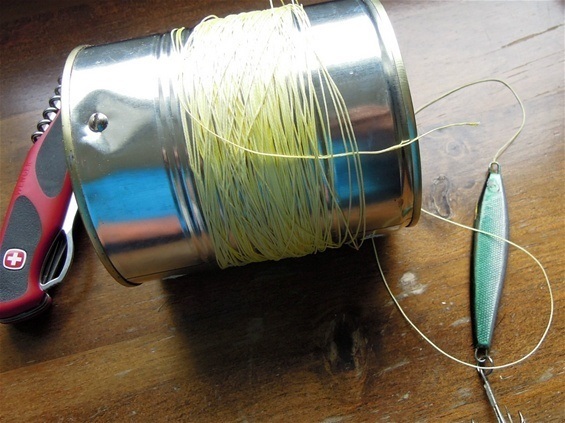 It is fully possible to use a sinker at the bottom and a hook with bait on. Best is to use the sinker or weight at the end of the line with the hook above. Attach the handle with a screw on each side. Make sure to tie a knot on the line so it does not fly off. It is also no problem to use just a branch for a handle. The branch can be attached without any screw as well.